More footage! More quips! Marvel just released a second TV spot featuring a closer look at each Avenger (except the Vision) with a witty one-liner as they're known to do. Also, there's more of the new comers, Quicksilver (he speaks!) and the Scarlet Witch. As though we needed more convincing to see this sure blockbuster. 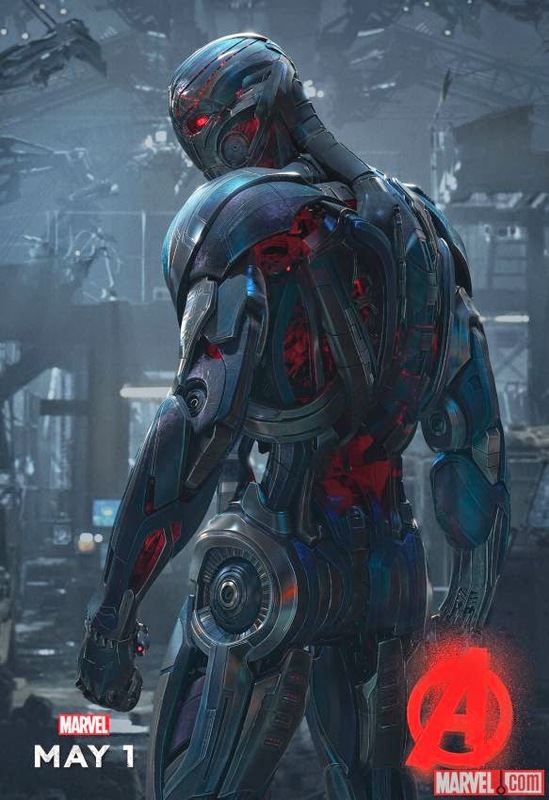 See Marvel's Avengers: Age of Ultron on May 1. Meet Earth's Mightiest Heroes once again with a new preview for Marvel's "Avengers: Age of Ultron," in theaters May 1! The closest we'll ever get, probably, to superheroes in real life is through the great work of cosplayers. You see them at every pop culture convention from the very basic to extremely elaborate costume design. However, you don't have to be a cosplayer to enjoy dressing up as your favorite superhero from time to time. Take fitness model and entrepreneur Gia Macool for example. An accomplished fitness competitor and model, Macool is also a big fan of DC Comics' Wonder Woman. She shows her love of the iconic Amazon Princess in her fitness wear, meal prep accessories and even a full blown photo shoot in a Wonder Woman costume. Dead Beats is a 160-page full-color anthology of music-themed horror comics centered around the curiosities for sale at one peculiar record store by its enigmatic Shoppe Keeper. ..if you're looking for new or used vinyl, cassettes, CDs, gear, or merch, Dead Beats has the best selection in town. Of course, everything we sell has a story and our friendly Shoppe Keeper is happy to tell you all about it. All sales final Edited by Joseph Corallo (Oh S#!t, It's Kim & Kim, Mine!) and Eric Palicki (This Nightmare Kills Fascists, All We Ever Wanted), Dead Beats features more than twenty comics stories and more than forty up-and-coming creators and industry veterans, as well as cover art and interstitial narrative illustrations by Lisa Sterle (Long Lost, Submerged). From "Vanishing." Illustrations by Sally Cantirino from a script by Matthew Erman. The wacky world of Fox's Gotham has long embraced its brand of crazy. "Anything goes," seems to be the motto as the show has tried to fill in the blanks of a pre-Batman Gotham City. Besides making the future Commissioner Gordon an erratic hot-head, his future wife a sociopath, and brought back a villain from the dead, the latest stunt involves aging-up a teen Ivy Pepper magically into an adult to use her powers as a seductress. Image Comics announces an all-new, original graphic novel Simon Says by Andre R. Frattino and Jesse Lee which will paint a post-World War II Europe in a scarlet shade of revenge this September. Simon Says is a drama-filled, crime noir story that follows a former artist to the Führer who hunts down and seeks justice upon the Nazis he witnessed murder his friends and loved ones during the war. It is an original graphic novel inspired by true events and by a real-world Holocaust survivor, Simon Wiesenthal, an artist who lost his family and took justice into his own hands. Justice League: Attack of the Legion of Doom!